New Delhi: An underground tunnel linking the main campus of the AIIMS with its Trauma Centre is ready since over three months but is yet to become operational as it is awaiting formal inauguration. The reason being cited for this is that it is yet to be officially inaugurated. Once operational, it will drastically reduce the time for transfer of critically ill patients and AIIMS staffers who frequent between these two facilities from the current 35-40 minutes to around five minutes. 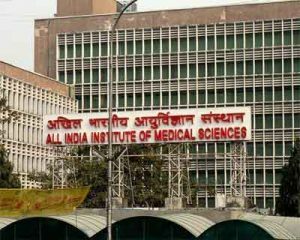 According to AIIMS sources, the project completion report was sent to the Union Health Ministry almost three months ago stating the project is complete and ready for inauguration. “We are yet to receive any intimation from the ministry about its inauguration. We are just waiting for its formal inauguration,” a source said. The sources said the tunnel was to become operational since mid-2015, but got delayed due to certain issues regarding clearance from civic bodies for construction of the surface road connecting its exit point near Safdarjung hospital leading to the Trauma Centre. “All these were sorted out and the surface road has also been constructed and is ready to be operational. “At present, it takes around 35-45 minutes to transfer critical patients from the Trauma Centre to main AIIMS and vice versa as ambulances have to take the Ring Road which is heavily congested during the peak hours,” the source said. The tunnel will be also used by family members of patients, doctors and other hospital staff. “There is frequent exchange of doctors, patients, support staff between the two buildings located 2.5 km apart from each other,” the source said. The 614-metre-long tunnel costing Rs 40 crore has been built by the Delhi Metro Rail Corporation (DMRC). It is the first time in India that a road tunnel has been constructed above an operational Metro tunnel with a minimum clearance of 1.6 metre only.